Pitched as the 'Adventure Capital of New Zealand' and world-renowned for its heady mix of thrills it might be assumed by some that Queenstown is a one trick pony capable of satisfying only those itching to throw themselves off something. Scratch beneath the surface, however, and you will find subcultures, arts, quirky cafes and creative residents the likes of which exist in any culturally-rich city, albeit on a more modest scale. Dorothy Browns is a long-time icon of the region's counter-culture. 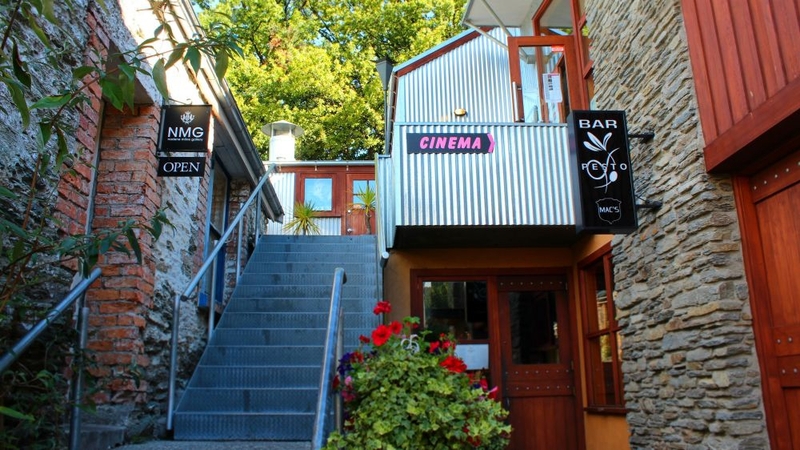 This arthouse cinema in Arrowtown is a local's secret tucked away down Buckingham Street, that shows classics, foreign language films and recent mainstream releases. It has a delightful bookshop packed with esoteric titles and a bar stocked with locally-produced wines and cheeseboards. Film-goers can view their choice of film in the chandelier-bedecked Main Cinema or the teeny tiny Den (complete with beanbags!). The Queenstown Film Society meets here once a week, actively encourages new members and also organises the annual Queenstown Short Film Festival. If you're an avid browser, rack shuffler and bargain hunter and you spend most of your time in cities seeking out the eclectic boutique shops then have no fear, among the countless souvenir shops of Queenstown there are some bona fide treats to be found. 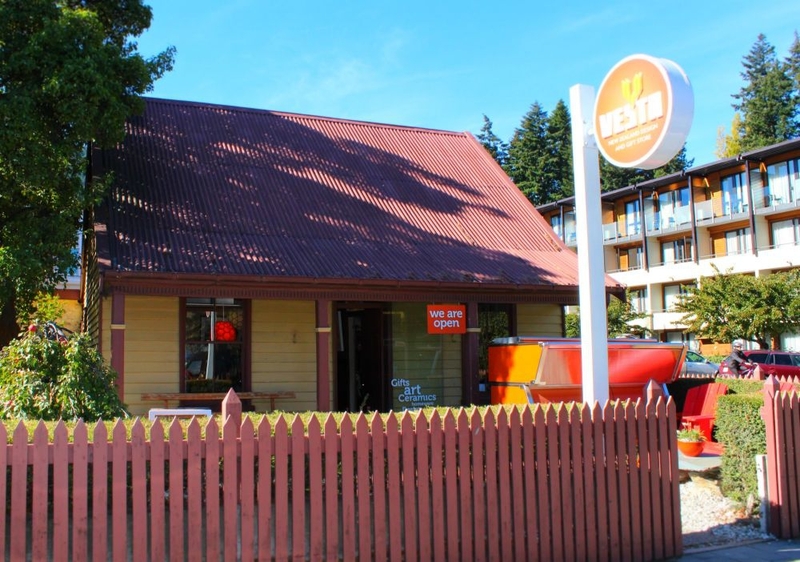 Vesta Design Store is on Marine Parade and is housed in Queenstown's oldest surviving building, Williams Cottage. Each room of the cottage is inhabited by art, homeware, gifts and accessories designed and made by local and international artisans. You will still find a good dose of Kiwiana here if its souvenirs you are looking for, though they will tend to be more unique and sometimes hand-crafted. The Bead Shop on Shotover Street (at the upper end where it meets Gorge Road) is the place to go for entirely handmade jewellery. You are encouraged to develop your own artistic flair and build pieces for yourself or make gifts by selecting your favourite beads, gems and jewels. Yaks and Yetis is pleasingly set apart from its more traditional counterparts in O'Connell's Shopping Centre on Camp Street. Offering a huge range of trinkets, gifts, instruments, clothing and jewellery hand-sourced by the owners on buying trips to South East Asia, Central America and beyond, Yaks and Yetis is the place for the veritable bohemian. The Saturday Original Arts & Craft Market held weekly at Earnslaw Park is a choice spot for al fresco shopping, usually accompanied by live music. Stalls feature locally-made products varying from ceramics and carvings right through to photography and fabric prints. All goods sold at this market are handmade. The Walk in Wardrobe bills itself as a 'pre-loved fashion boutique' and there is definitely something altogether more glamorous about this second-hand clothes shop than one is accustomed to. Separated by colour and style, the racks are teeming with rare and precious garments. Shoppers will find anything from a slinky cocktail dress to a vintage pair of corduroy pants. The art aficionado will find a disproportionately high number of galleries to while away the hours in. 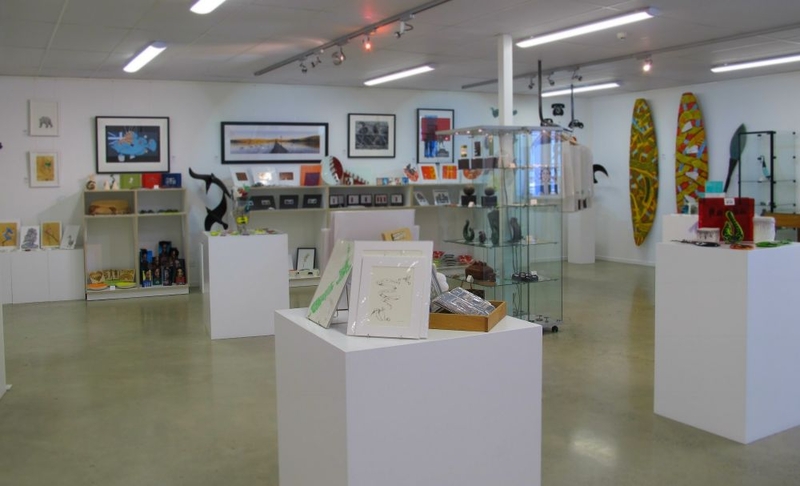 Our Art Galleries Guide and Central Otago Arts Trail Guide contain names, addresses and opening hours of the boutique art spaces, commercial galleries and artisans' galleries/homes that populate the area. You will find artists working across the full spectrum of media available such as film, ceramics, sculpture and much more. Most live music in Queenstown tends to be geared towards satisfying the masses with crowd-pleasing covers – this is by no means a slight on the ability of the musicians which is of a very high standard, but it does mean that finding original music on an average night can present a challenge. Summer, however, brings an average of two to three festivals to the region and often features big name Kiwi, and sometimes international, acts. Jose Gonzalez and John Butler Trio have both played wineries in recent years and biennial events such as Shotover Sunshine Festival and Rippon Festival regularly bring the likes of Shapeshifter, Fat Freddy's Drop and Kora to the region. The music-loving population of Queenstown, Wanaka and Arrowtown religiously attend outdoor music events over summer and if you haven't yet been to a Kiwi music festival, the hot weather, relaxed vibe and stunning alpine surroundings make either of these an unmissable opportunity. The adventure and adrenalin activities on offer in Queenstown are legendary. Bungy, skydiving, rafting, river surfing and buckets more all aim to raise the heart rate and electrify with their fast paces, high platforms and surging power. But what if you're looking for something thrilling but a little more unusual? Something that doesn't involve jumping, leaping, paddling or diving? Then you might want to pay a visit to Fear Factory. The haunted house on Shotover Street promises to terrify the living soul out of you. 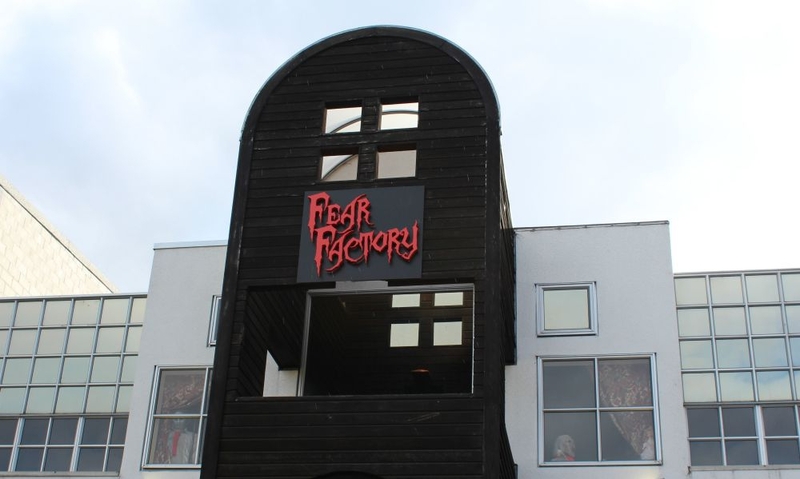 Fear Factory give very little away about the petrifying contents of their haunted house, but if the screams heard from the outside are anything to go by, whatever their formula is, it works. If you're looking for an activity less about horror and more about pleasure but you're still seeking something unconventional, Photo Safaris and Art Adventures are sound choices. Both work on a similar premise of combining artistic skills and tutelage with seeing some of Queenstown's remote and stunning scenery. Photo Safaris is run by award-winning highly esteemed photographers Jackie Ranken and Mike Langford. They aim to instil in their guests a fundamental understanding of the principles of landscape photography with some of their expert tricks thrown in for good measure. Art Adventures is run by the highly experienced and revered local artist Alice Blackley who leads groups on sketching and painting excursions to some of the most secluded spots in the region. 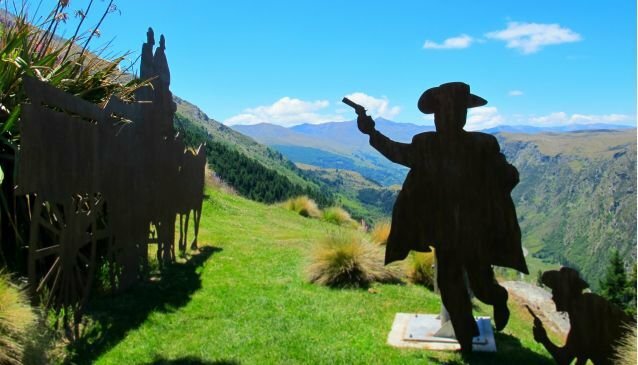 Both Photo Safaris and Art Adventures offer a unique cultural/outdoors fusion experience and guests will more than likely venture to parts of Queenstown they otherwise would not have seen.